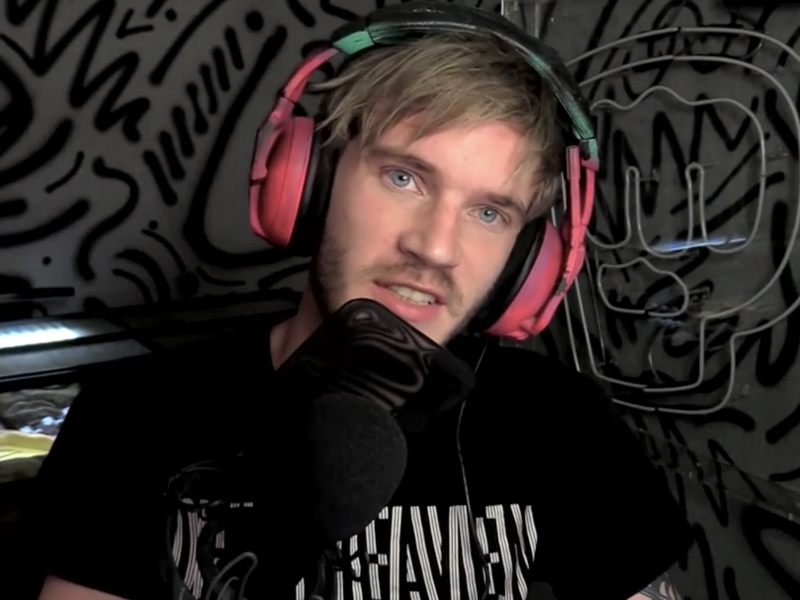 Felix Kjellberg - who, under the name PewDiePie, is the most popular YouTuber in the world - was entangled in controversy when the New Zealand mosque shooter told people watching his livestream to subscribe to his channel. Kjellberg said he was "absolutely sickened" by the shooting. The YouTube star has been caught in controversy before for anti-Semitic, racist, and sexist pranks and comments. Though he's issued apologies, he remains notorious on the platform. YouTube's biggest star has found himself ensnared in controversy after the alleged New Zealand mosque shooter told viewers on his livestream to subscribe to his channel. 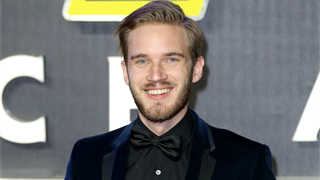 The YouTuber, PewDiePie, whose real name is Felix Kjellberg, has nearly 90 million followers, by far more than anyone else on the platform. He quickly rejected the shooter's support, saying he was sickened to be associated with him. "I feel absolutely sickened having my name uttered by this person," Kjellberg wrote on Twitter Friday. "My heart and thoughts go out to the victims, families and everyone affected by this tragedy." Kjellberg's high profile and fluency in trollish internet culture - a culture the shooter himself also apparently lived in - has made him a magnet for controversy. It doesn't help that Kjellberg himself has a history of making anti-Semitic, racist, and sexist remarks. Yet Kjellberg still commands the support of tens of millions of fans, even as he's found himself in trouble online. Here's the full story of PewDiePie, and how he became the most famous - and infamous - person on YouTube. Kjellberg, born in Sweden, started his YouTube channel in 2010. At the time, he was a college student pursuing a degree in economics and technology management. He dropped out in 2011, instead focusing his efforts on growing his channel. Kjellberg's early videos - which still form the backbone of his content - were mostly video game commentary. He reviews games, posting long videos where he plays games, talks about them, and jokes around to his followers. As his brand grew, he branched into meme commentary. As Kjellberg became more popular, he started covering internet culture as well. 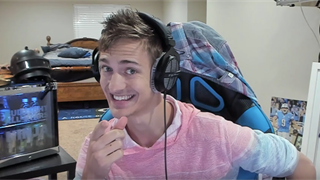 He hosts a YouTube series called "Meme Review" and fields meme creations from his followers in the r/PewDiePieSubmissions subreddit, making fun of them on his channel. 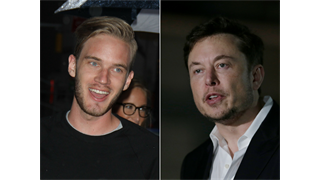 He's brought on guest hosts for "Meme Review," including Elon Musk and Ben Shapiro. He also runs a book discussion community on Reddit. It makes him a ton of money. Kjellberg's spot as the world's biggest YouTuber is extraordinarily lucrative. According to Forbes, he was the No. 9 top earner on the platform in 2018, earning $15.5 million (R200 million). He can make up to $450,000 (R6.5 million) for a sponsored video, according to Forbes. Kjellberg has put some of his fortune towards philanthropy. He's run recurring charity drives for Charity: Water, which provides clear drinking water for people in developing countries, cumulatively raising around $600,000 for the nonprofit. He's also raised money for Save the Children and Product Red. On his show, he's featured anti-Semitic pranks. Kjellberg has an impish sense of humor and, like many YouTubers, he incorporates pranks and stunts into his videos. Many of these elements, the Wall Street Journal found in 2017, were anti-Semitic. In one video, Kjellberg used Fiverr, an app that allows people to pay freelancers $5 to complete tasks, to pay two men in India to dance around with a sign that says "Death to all Jews." In another, Kjellberg featured a man dressed as Jesus who says "Hitler did nothing wrong." Kjellberg also included swastikas and excerpts from Hitler speeches in his videos, to a supposedly comedic effect. Following the Journal report, Kjellberg said in a post on Tumblr that he didn't support hate groups, saying the videos were meant as "entertainment." Companies started distancing themselves from him, prompting an apology. Following the Journal's reporting, Disney ended its production deal with Kjellberg. Google also ended its "Scare PewDiePie" show and cut him off from its advertising program reserved for YouTube influencers. Days later, Kjellberg finally apologized for his jokes about Nazis. "I'm sorry for the words that I used, as I know they offended people and I admit that the joke itself went too far," he said in a video. "I do strongly believe that you can joke about anything but I also believe there's a right way, and not the best way, to joke about things." 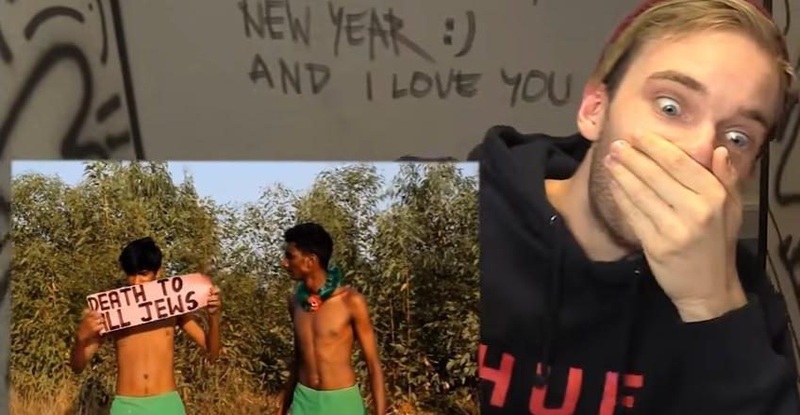 In a video published in 2018, Kjellberg told his followers to subscribe to a YouTube channel that posts anti-Semitic and misogynistic content. He removed the recommendation after people called him out, but still lashed out at his critics. "This is all you have?" Kjellberg said in a follow-up video. "Anyone with the level-headed brain can tell that I don't know this guy. [It's] a shame campaign to smear my name." Kjellberg has also made racist and sexist comments. Months after Kjellberg posted the "Death to all Jews" video, he called another player a "f---ing n-----" while playing the online game Playerunknown Battlegrounds in a live-stream. 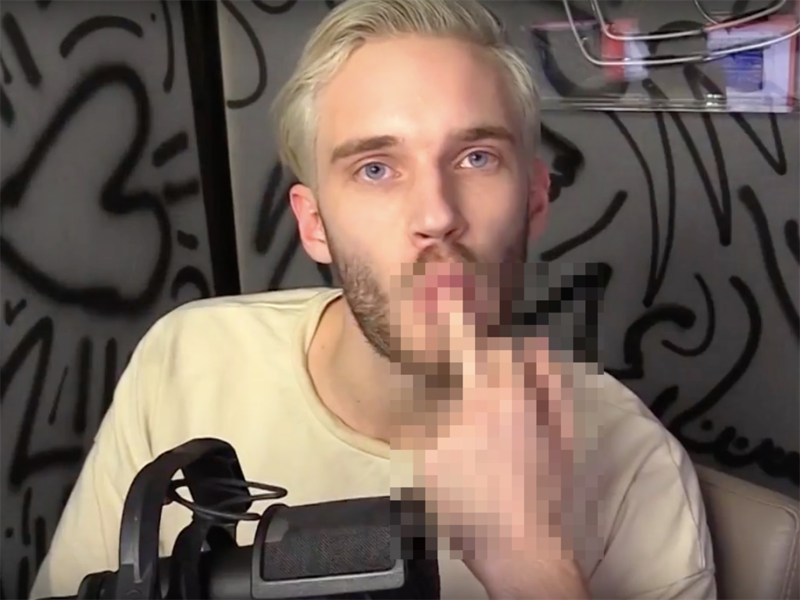 Kjellberg quickly apologised, but people in the gaming community were still upset with him. Some developers tried to get him to remove videos of him playing their games. "I am sick of this child getting more and more chances to make money off of what we make," one developer, Sean Vanaman, said on Twitter. "I'd urge other developers and will be reaching out to folks much larger than us to cut him off from the content that has made him a millionaire." Weeks later, Kjellberg got into a feud with another gaming YouTuber, Natalia Mogollon, who goes by the name Alinity. He derided her as a "Twitch thot" and mocked her for her wardrobe choices. "You're just playing games with the shortest skirt ever, that's our fault for looking at it in any sexual way, right?" Kjellberg said in a video. "I know you don't portray yourself to be the smartest person, but I know you're not that dumb to not be aware of what you're doing ... Showing your underwear on screen? That's our fault, right?" Mogollon told Motherboard that she's frequently harassed on YouTube and Twitch for being a woman. "It's shifted from them [viewers] being perverts, to just straight up calling me a whore," she said. "If this wasn't my job this would have pushed me off the internet a very long time ago." Kjellberg is running a campaign to remain the most popular YouTuber. Kjellberg has more YouTube subscriptions of any other individual by a wide margin. The next-most-popular YouTube star, Justin Bieber, has less than half the following he does, according to the analytics site SocialBlade. But T-Series, an Indian record label, is catching up. The two are neck-and-neck as having the top YouTube channels. To drum up support, Kjellberg has spread the "Subscribe to PewDiePie" slogan, which has bolstered his numbers. T-Series only briefly overtook Kjellberg's channel on Monday, before his fans shored him up again. The Christchurch killer yelled out the slogan in his livestream. The alleged shooter who killed 50 people in Christchurch, New Zealand, yelled out "subscribe to PewDiePie" in his livestream. It was one of many elements of YouTube culture he incorporated into the shooting and manifesto, which was steeped in internet culture. But the alleged shooter's apparent embrace of Kjellberg should be taken cautiously. Kjellberg himself said he was "sickened" by the shooting. And analysts pointed out that the livestream and manifesto seemed calculated to spark maximum outrage and inflame a culture war. "It was a booby trap, a joke designed to ensnare unsuspecting people and members of the media into taking it too literally," one journalist, Kevin Roose, said in the New York Times. "The goal, if there was one, may have been to pull a popular internet figure into a fractious blame game and inflame political tensions everywhere."